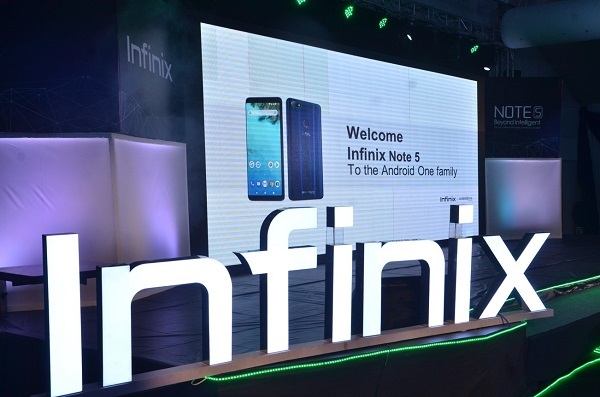 Infinix Mobility Limited, the premium smartphone brand, committed to bringing cutting-edge technology and stylish mobile devices to millennials, launched its “Beyond Intelligent” smartphone, the Note 5. The Note 5 is part of the Android One program designed to deliver a software experience by Google. Encased in the beautifully designed hardware of the Note 5, Android One brings secure and smart AI-powered innovations like the Google Assistant and Google Lens to everyone. 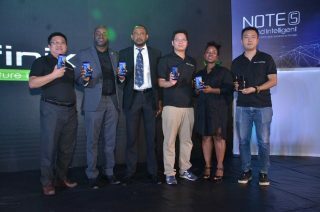 The glamorous event which held at Federal Palace Hotel, Victoria Island, Lagos witnessed an impressive turnout of guests eagerly awaiting the unveiling of the Note 5. With Infinix Mobility joining the Android One program, the Note 5 will bring young people together and empower them to become trendsetters. The “Beyond Intelligent” Note 5 smartphone is equipped with an amazing display which provides users with superb viewing and entertainment experience with an Infinity 6.0’’FHD screen and an 18:9 screen ratio. The edge-to-edge screen also makes the device look stunning, both from a design and a technological perspective. The Note 5 device features a perfect 16MP low-light front camera, which allows selfie lovers to take professional selfies even in low light. As for the rear camera, it is supported by a 12MP resolution. Its long-lasting battery will provide a 3-day-on-average usage with a 4500mAh battery, built with a 3A fast charge, which will keep users fully functional throughout the day. The Note 5 was also launched in conjunction with telecommunication giants, MTN; with every purchase of the Note 5 on the MTN network from any authorized retail shop, it comes with 1GB free data and up to 100 percent data bonus on every recharge for the next six months to enable consumers to stay connected for a long period of time. “If you purchase a new smartphone you expect it to be amazing. That’s why we teamed up with Infinix Mobility through our Android One program. 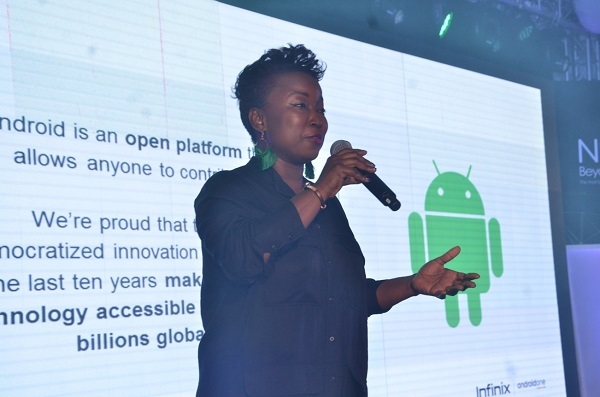 Together we strive to give users a range of smartphones, such as the Infinix Note 5, that combines beautiful hardware with Google’s smartly designed software,” said Teju Ajani, Country Manager, Android Partnerships, and Google Nigeria. Infinix Note 5 will also support Google Lens, a new way to search what you see and interact with the world around you. You can take action on text, identify distinct plant and animal breeds, learn more about popular landmarks and discover products similar to the ones that catch your eye – like furniture and apparel. The feature will be available right in the Note 5 camera and through the Google Assistant. The Note 5 is currently available in all of the exclusive stores in Nigeria.